« Trust in the LORD always, for the LORD GOD is the eternal Rock. 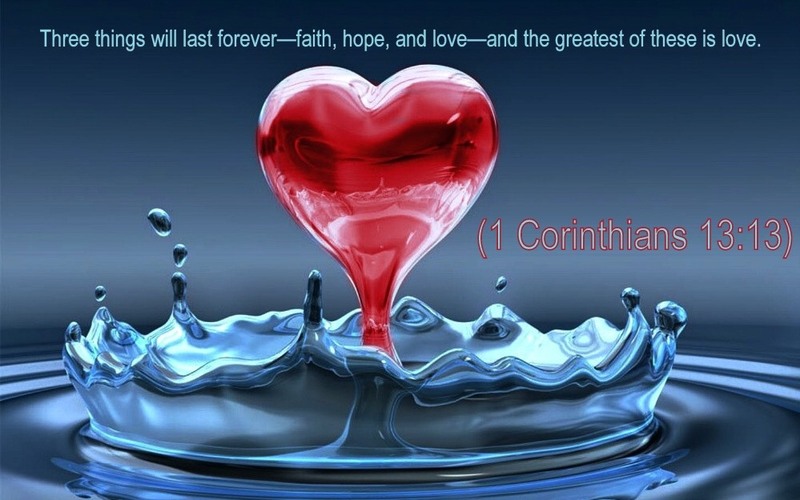 Faith, Hope and Love – Stay Committed, Guard your heart. Dear Lord God, Abba Father, thank You for all Your blessing and this new day. A day full of new chances and beginnings. O that You will bless this day, and continue to bless me and mine, keep us from evil and causing pain. Use the moments that will fill this day to draw us closer to You, stronger in our faith and hope, and committed to love others as You love us; unconditionally. In Jesus name I pray. Glory be to the Father and to the Son and to the Holy Ghost; as it was in the beginning is now and ever shall be, world without end. Amen. If you hear my words and follow them, you will be wise, like the man who built his house on solid rock. The storm winds came. Heavy rains fell and the flood waters rose. Yet the house stood strong because it was built on solid ground. The heavens above and the earth beneath your feet will one day pass away, but the words that I speak to you are eternal, and will never pass away. Whoever hears these life-giving words, and acts on them, is spiritually wise, and builds their life on a foundation that will remain. Yesterday morning my son shared this sermon by Joel Ostend titled Stay Committed with me. I liked it, worth listening to. This entry was posted on December 7, 2018 at 6:22 am and is filed under One Walk. You can follow any responses to this entry through the RSS 2.0 feed. You can leave a response, or trackback from your own site.